A new season of programming has been announced, and we’ve got the highlights. And the lowlights. EVERY YEAR, AT around this time, our glorious state broadcaster announces its new schedule for Autumn. We’ve got our sweaty little mitts on the line-up for later this year, and are ready to present you with the highlights and lowlights of Autumn 2013′s proposed television schedule. There are really super parts of Republic of Telly. Damo and Ivor is not one of them. Good luck to her. But do we need to watch it on telly? My Best Shot is a studio game that shows people at their very best and sexiest, and – if they don’t win – at least they exit with the ultimate profile picture for future online dating. This actually sounds quite good but must we persist in calling every second programme ‘My Big Fat…’? Must we?!? Series 4 begins with Nidge and the gang trying to survive in the endless recession that dogs the rotten republic…unknown to the gang, his activies have attracted the attention of the gardaí in the form of a semi-autonomous squad of secret undercover operatives. 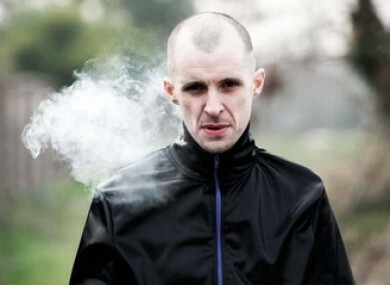 Undoubtedly the best drama to come out of RTÉ of late, we can’t wait to catch up with Nidge and the lads. An atmospheric thriller set in 1950s Dublin…Gabriel Byrne stars as the chief pathologist in the city morgue, a charismatic loner whose job takes him into unexpected places as he uncovers the secrets of sudden death. This three part series was produced by the BBC, so the production values will be high. It’ll be worth a watch, if only to see how they’ve recreated the dublin of 60 years ago. Filmed over six months, Living on the Frontline exposes the myth of musclebound bouncers and looks at the dedicated and profession staff that can defuse a tense situation with a few choice words and a laugh. Everyone has their own opinion of the men and women who guard the doorways of the nation’s drinking establishments. It will be interesting to see what they’re really like. Des Bishop moves to China for year and attempts to mount a one man comedy show for an audience through Mandarin Chinese…living with a Chinese host family, attending Chinese university, working in restaurants and ice-cream vans; Des is fully immersing himself in Chinese culture in pursuit of his goal. Des always manages to strike the balance between the informative and the entertaining, this is bound to be a good’un. Aside from the content sounding interesting, we really like the photo of these two jolly looking men which accompanies the programme description on the RTE website. Email “Tellywatch: The best and worst of RTÉ's Autumn line-up”. Feedback on “Tellywatch: The best and worst of RTÉ's Autumn line-up”.